A South African court ruled Monday that a Mozambican ex-finance minister, held since December on a US warrant over corruption allegations, can be extradited to the United States. 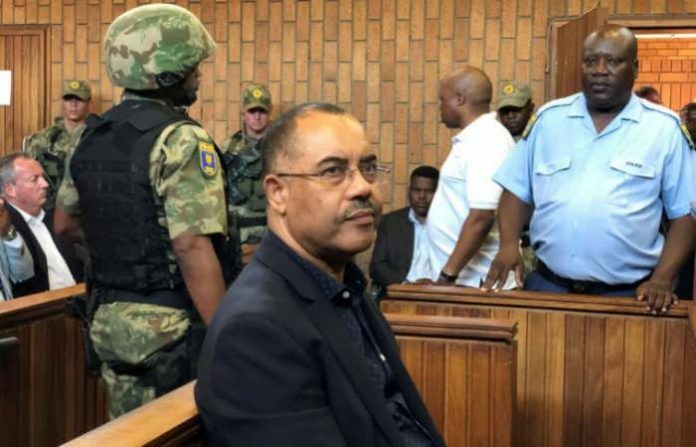 But the future of the defendant, Manuel Chang, was not immediately resolved, as the court was to rule later Monday on a rival extradition request from Mozambique. Chang, 63, was arrested at Johannesburg’s main airport on December 29 over alleged involvement in $2 billion (1.76 billion euros) of fraudulent loans to Mozambican state firms. Magistrate William Schutte ruled that “there is evidence that Manuel Chang has committed the crimes he is charged with and that all conditions are met so he can be tried in the United States”. With both the US and Mozambique having issued their own extradition requests over the scandal that has shaken the poor southern African country, the court said only the justice ministry can decide where to surrender him. US Assistant Secretary of State Tibor Nagy last month said he expected Pretoria to honour the extradition accord it signed in September 1999. “We have an extradition treaty with South Africa, we are very much expecting (extradition) will happen,” Nagy told journalists during a phone briefing. South African Foreign Minister Lindiwe Sisulu indicated in February that Chang would be handed to Maputo as it would be “the easiest thing for everybody”. The charges against Chang relate to loans taken out by Maputo when he was head of treasury between 2005 and 2015. The money was allegedly used to secretly buy a tuna-fishing fleet and surveillance ships. The former minister had enjoyed automatic immunity as a lawmaker but was stripped of the privilege as details of the scandal have emerged. Mozambique has since also arrested several suspects linked to the debt scandal, including the son of ex-president Armando Guebuza, along with leading intelligence officials.